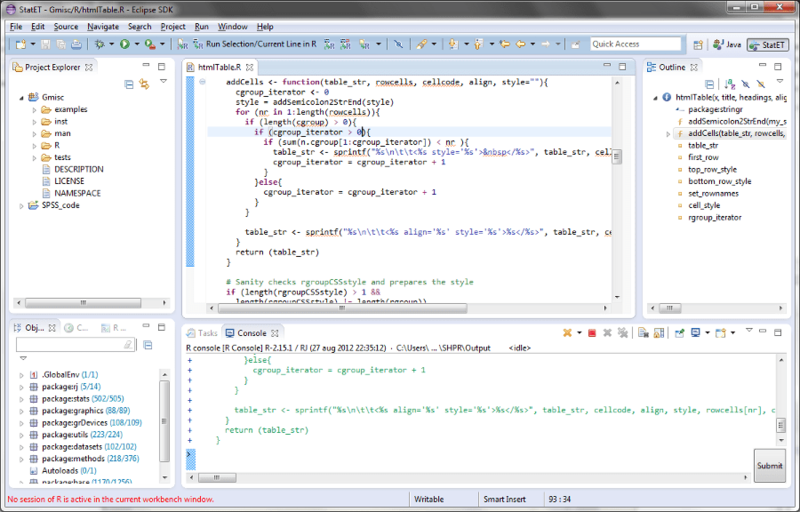 A view of the StatET plugin in the Juno Eclipse. The environment is perfect for developing R packages and creating more complex functions. I wanted to write about creating R-packages in Windows but after trying to get StatET to work seamlessly in Windows I decided that maybe I should start with the very basics. 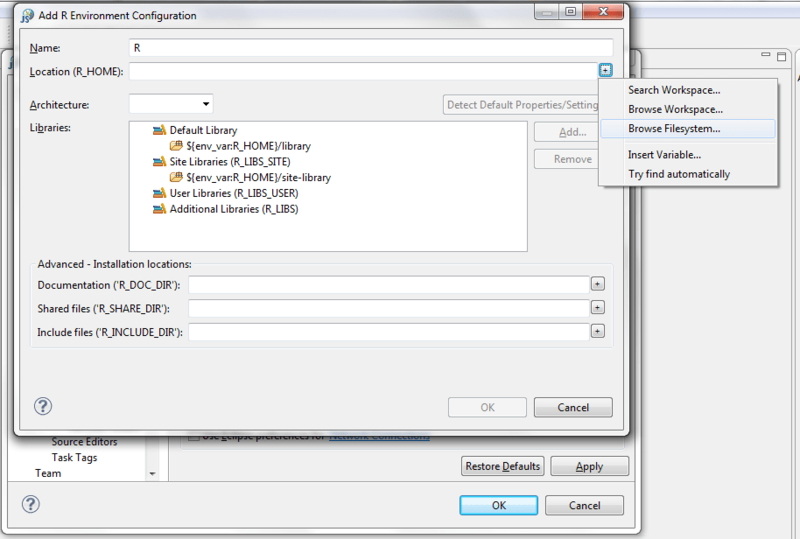 I found Longhow Lam’s excellent PDF about StatET in a Windows environment to be very helpful. I guess this is overdoing it… but yes you need to also have R installed, you can get it here. 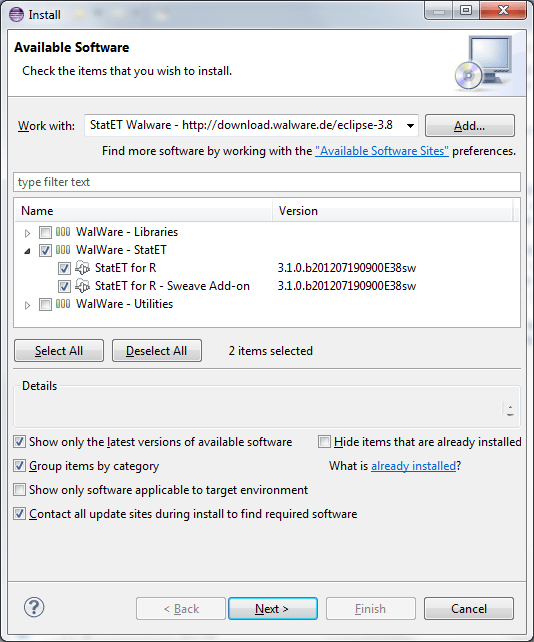 Use the 3.1 StatET plugin since the old doesn’t support R-2.15 (use http://download.walware.de/eclipse-3.8). Sometimes the install process complains about JDK required. 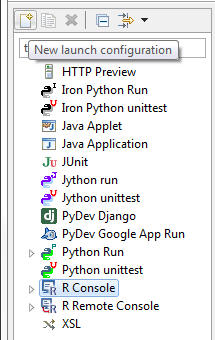 Check that you have http://download.eclipse.org/releases/juno in the list of available sites. Name the new console (not sure this really matters that much), go to the R Config tab and select the R config (I guess the default is the best option). Now click Apply. I finally solved it by removing all Java installations (Go to Windows > Control panel > Programs > Uninstall…) and reinstalling the 64-bit version. 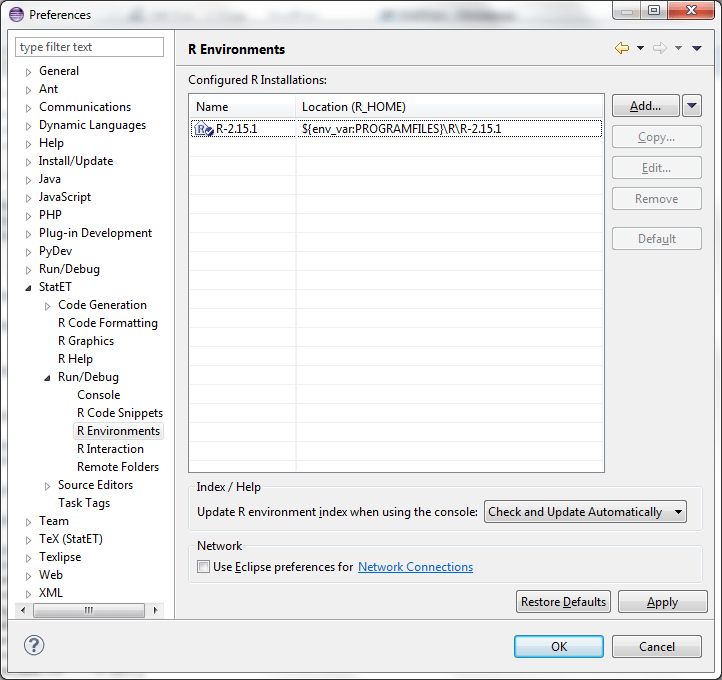 If you’ve downloaded the 64-bit version of Eclipse, you can find the Java versions here.
. I guess setting up in a Linux environment is easier but unfortunately I often find my self in need of using Windows software and therefore it’s more convenient for me to work in Windows. I will try to get back with some more on configuring the StatET tools.